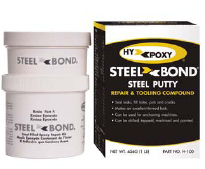 Click here for more information on HY-POXY® Steel Repair Kits. 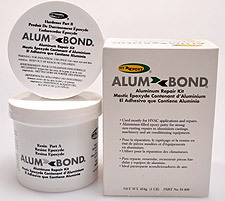 Click here for more information on HY-POXY® Aluminum Repair Kits. 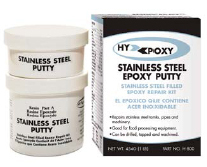 Click here for more information on HY-POXY® Metal and Industrial Products. HY-POXY® is a registered trademark of HY-POXY® Systems, Inc.
trademarks of HY-POXY® Systems, Inc.
site design by webheads, inc.